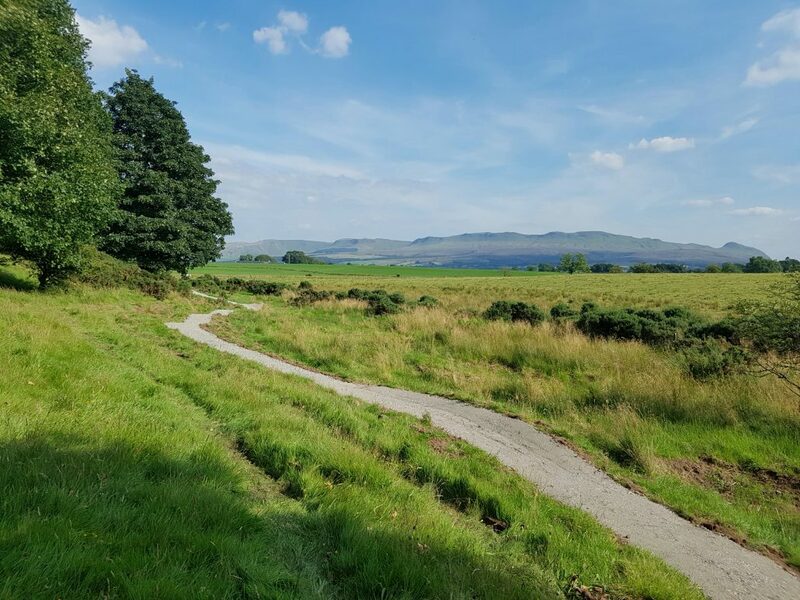 Conservefor, a specialist MTB trail centre construction contractor, were appointed by Cycle clothing company Endura to construct a trail centre on private land near Drymen, on the shores of Loch Lomond. 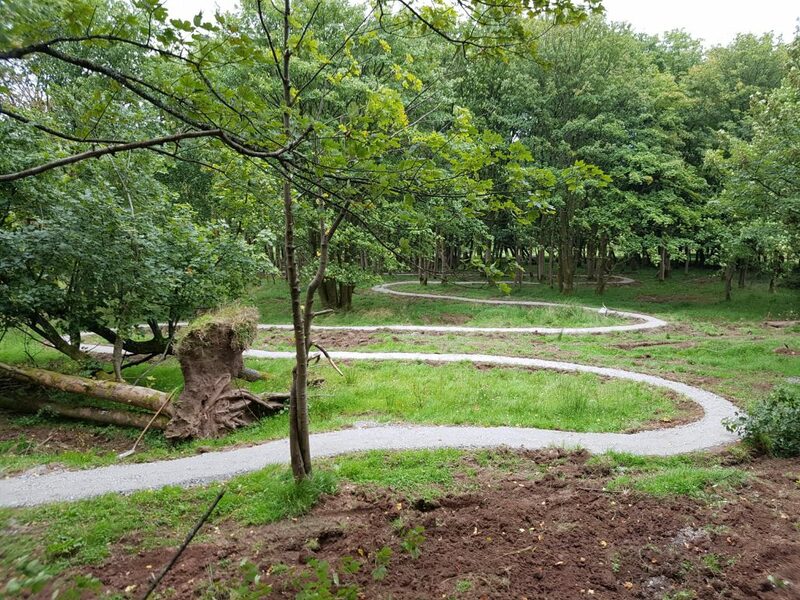 The Trail centre, designed by experienced trail designers Architrail, comprised of a blue and red grade trail loop, pump track and downhill dual slalom track which would form part of the facilities at Endura’s Lifecycle Barn. 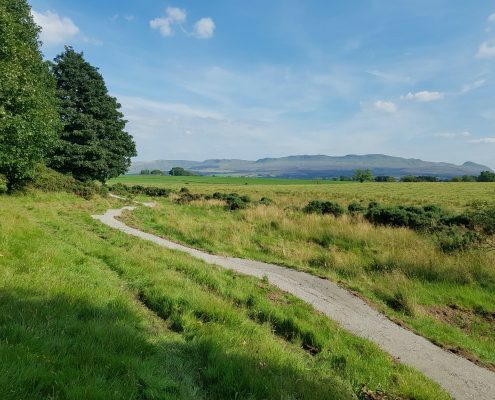 The centre was set up to help underprivileged children get a taste of mountain biking and enable them to improve their skills to promote a positive change to their lives. Conservefor Deployed a team of three highly experienced trail builders with bespoke three and five tone 360 excavators with tilt rotate attachments and a bespoke three tonne tracked dumper. 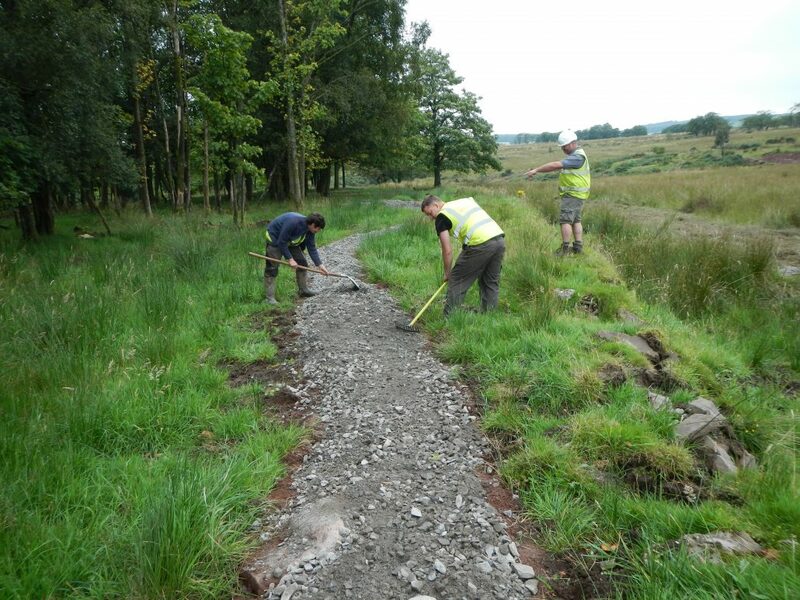 As access to the site was limited and involved the crossing of a river and traversing a steep slope it did not prove efficient to import stone into the site for construction of the trails. 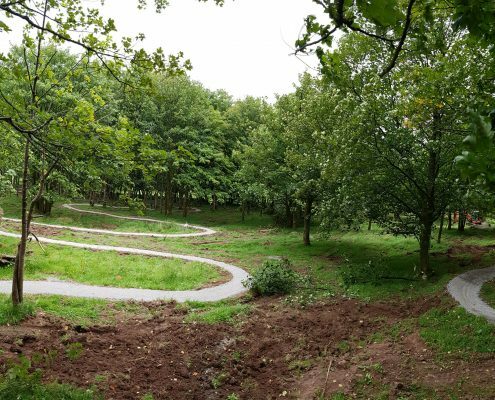 Our MTB trail centre construction team used materials retrieved from areas that could be used as drainage ditches, once reinstated, in strategically chosen places as to minimize the impact to the appearance of the indigenous woodland surrounding the trails. 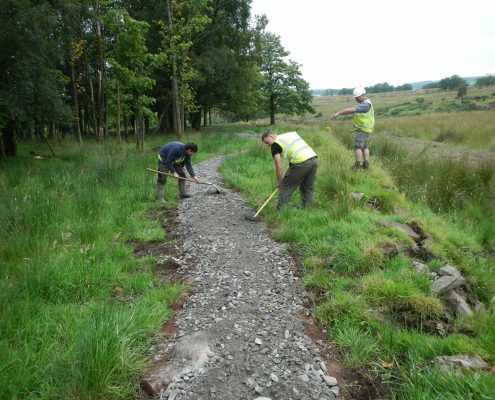 The trails were then topped and finished, by hand with local stone using shovels, rakes and a 800kg tracked power barrow to help compound and consolidate the riding surface. The final descent of the trails incorporated a dual slalom section. Two trails that follow each other closely down the hill containing the same size berms and rollers. 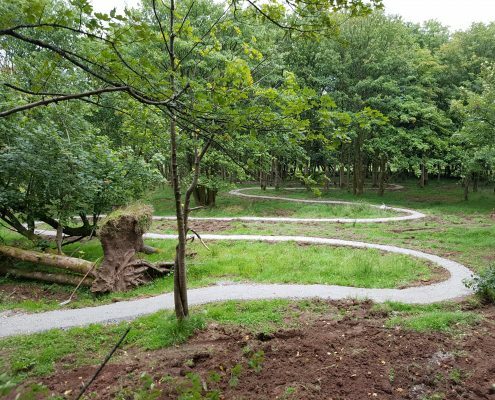 These two identical trails allow riders to race each other across an open field towards a pump track containing large rollers and berms designed to be used without the need to pedal. As the final section of the trail crossed open farmland, turf lined ditches were installed above all trails to ensure any surface run off was carried away from the trails to minimize erosion and help the trails and extensive drainage system blend into the surrounding farm land with minimal disruption to the farmers use of the field.